A lot of people only go to the dentist for a check-up and clean and when they need specific procedures done. But your dentist can help you with a lot more than these basics. 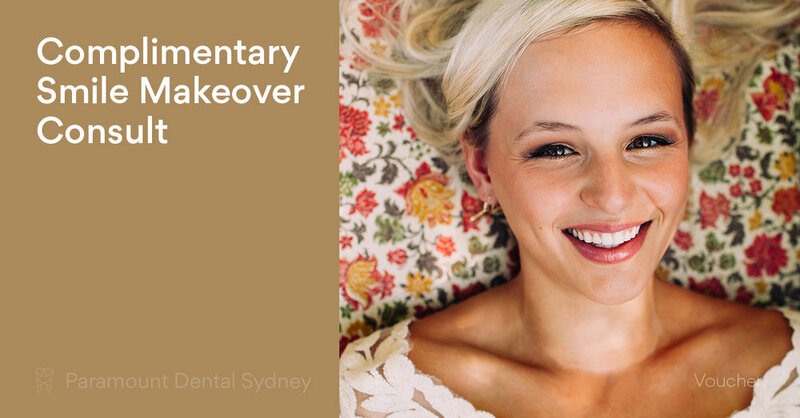 When you make an appointment with Paramount Dental Sydney, you’ll probably meet dental practitioner Phoebe. Her role is to work with you to prevent dental health problems over the long term. And she does this through education and by performing a number of essential treatments. This can be done during a routine check-up. And it’s a quick and easy way to get some peace of mind about your oral health. This is a procedure that usually needs to be performed when you haven’t visited your dentist in a long time and have a build-up of plaque on your teeth. It’s a more complex procedure than a normal clean, and usually requires two visits. It involves scaling, which is removing plaque from the surface of the teeth, and root planing, which is when the plaque is removed from the surface of the roots of your teeth. It might sound as if your dentist will have to move your gums to get at the roots to perform root planing, but this isn’t the case. Over time, plaque can build up between the base of the teeth and the gums, creating deep pockets. And it’s these pockets that need to be cleaned out during root planing. Lasers are a quick, efficient, and easy way to treat gum disease and give your teeth a deep clean. This procedure is fast growing in popularity as it allows your dentist to find and eliminate the root cause of gum disease and removes all traces of the infection. 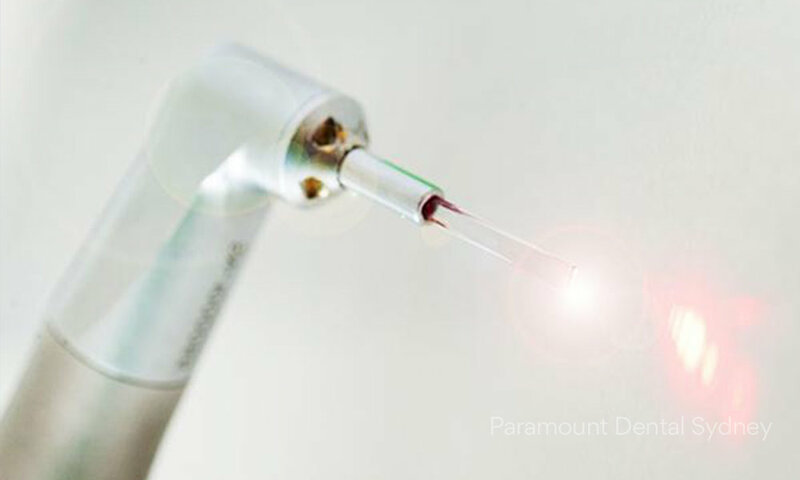 Using a laser for these types of procedures allows your dentist greater control and precision. It’s also a faster and more comfortable way to treat the problems caused by gum disease. 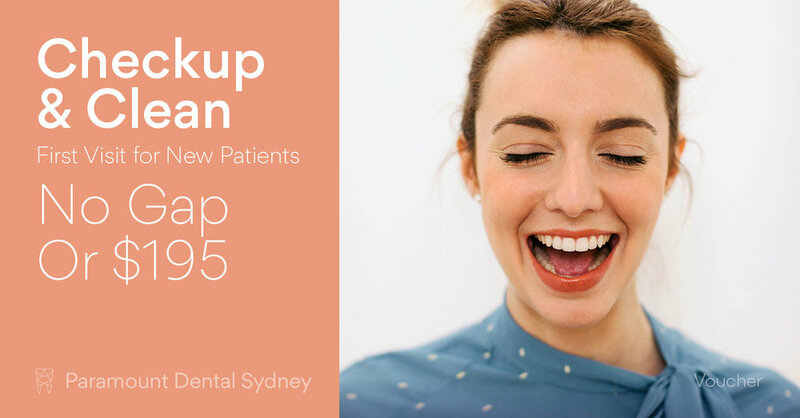 Dentistry is advancing fast and that’s why Phoebe and the other staff at Paramount Dental Sydney are determined to keep up so they can provide the best possible care to their patients. One advance that has resulted from their dedication is Air Flow Therapy. This is a machine that polishes the teeth using a mix of water, compressed air, and powder particles. This procedure removes stains and bacteria and performs a deep clean of the teeth as well. Air flow polishing is a highly effective cleaning method that removes plaque, polishes the surface of the teeth, and cleans out the pockets between the teeth and gums. It’s far more effective than traditional scrape and polish treatments, is much quicker, and is more comfortable for patients as well. A saliva test is a quick and easy way to evaluate your overall health. Saliva is essential to your oral health because it helps you to digest food and keeps your teeth strong and free of decay. Saliva testing can also be a good way to diagnose other diseases and disorders that affect the health and wellbeing of the entire body. Some of the issues that saliva testing can identify include: HIV, diabetes, cancer, the HPV virus, or poor quality saliva that isn’t adequately protecting your teeth from decay. As a dental practitioner with a focus on preventative medicine, Phoebe focuses on identifying problem areas early and saliva testing is a big part of that. It allows her to identify potential dental problems and design easy interventions that can help you prevent permanent tooth damage. Bad breath can be a very embarrassing problem and there can be a variety of causes as well. As a result, people often struggle to understand and treat the problem. But dental hygienist Phoebe can help you with this issue. There are a variety of dental problems that can cause bad breath such as tooth decay, inadequate saliva, or infection. It can also be caused by a poor diet or inadequate water intake. No matter what’s causing it, you shouldn’t be embarrassed to reach out to get help. And your friendly dentist is a great place to start. If you’re concerned about the colour of your teeth, then dental hygienist Phoebe can help. With her dedication to preventative care, she can assist you with whitening treatments in the clinic or with at-home, specially made treatment kits. These treatments will whiten your teeth much more efficiently than store bought treatments, leaving you with a smile that’s around 5 times whiter than it was before. 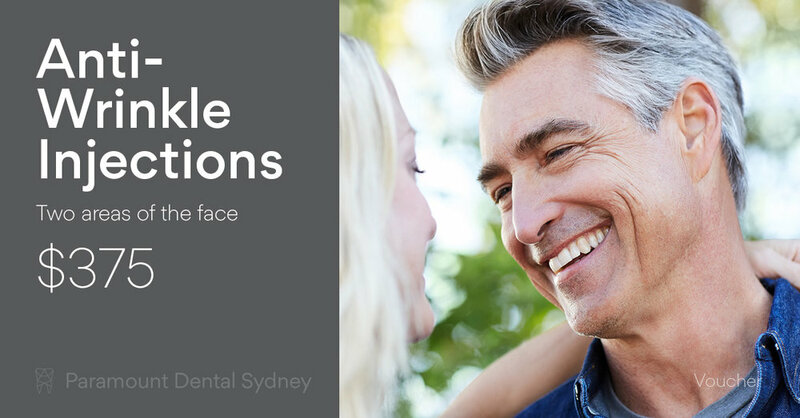 If you’re interested in some of the preventative treatments that Phoebe offers, make an appointment with us here at Paramount Dental Sydney. Phoebe and the rest of our caring and expert staff can help you find a solution that works for you.